A Real Estate Closing is the final step in the home purchase process. This phase is where the buyer and the seller sign all necessary paperwork to transfer ownership of the home. A buyer must open an escrow account with a neutral third party, whereby the buyer provides earnest money to be held in consideration of the purchase in order to demonstrate good-faith that the buyer fully intends on completing the sale. These steps are important in the completion of any Real Estate transaction, and many times it is important for the buyer to seek legal counsel from a real estate attorney prior to moving forward with the purchase process. An experienced attorney can provide professional legal advice, and interpret the very complicated language involved in most Closing documents. The attorney is also capable of identifying potential problems with your purchase documentation, and can save you the hassle of dealing with unexpected complications that may arise during the Real Estate purchase process. Blick Law Firm assists many families with the purchasing of their home with their in-house title department, Infinity Abstract & Title. 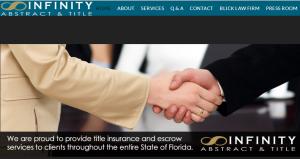 Infinity Abstract & Title is an innovative, paper-less services, aggressive, and results-oriented when answering the wide variety of title needs for our customers. They have represented many people throughout the state of Florida and the United States. Also provide mobile closings throughout the entire state of Florida. If you or a loved one are considering purchasing a home and need advice on what to expect, call Blick Law Firm today and schedule a free 15-minute consultation with attorney Michael Blickensderfer. Think quick, call Blick! Call Blick Law Firm today and make an appointment for a free 15 minute consultation with Attorney Michael Blickensderfer to see what your legal rights are in defending a foreclosure action. According to New York Times, a man had been shot and killed after he had assaulted a police officer and the two had struggled over the officer’s gun inside his patrol car. 18-year-old, Mike Brown was the unarmed black teenager killed in a fatal shooting on Saturday by a police officer in a St. Louis suburb. 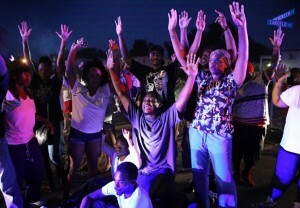 However, the death of the youth, caused heavy protests on Saturday and Sunday in Ferguson, Mo. Hundreds of people gathered at the scene of the shooting to question the police and to light candles for Mr. Brown. Currently, elected officials and advocacy groups held a full investigation and questioned the tactics of the police, who acknowledged that Mr. Brown had been unarmed. Acts of police assault warrant arrest and criminal charges; unlike this unfortunate incident that occurred over this past weekend. It is important to quickly seek legal representation upon an arrest to protect your rights. A Criminal Defense Attorney can provide you with legal counsel, and advise you in regards to your rights. 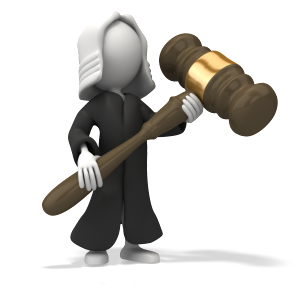 An experienced lawyer can also advise you in the actions and procedures that need to take place going forward. 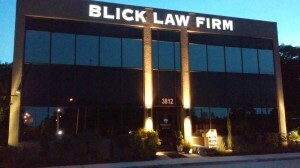 Call Blick Law Firm today for a free 15-minute consultation. Think Quick, Call Blick! It is important that parties to an accident seek immediate medical attention and the more severe your injuries are, the more likely insurance companies are willing to work with a personal injury attorney to negotiate billing and cover future medical needs. If you have recently been involved in an auto accident contact a personal injury attorney today to receive a free case evaluation and protect your legal rights. 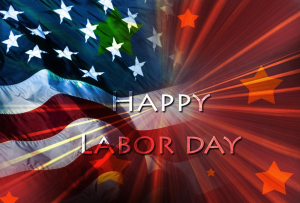 Call 888-973-2776 today!